Bertrand Grospellier, best known by his online alias ElkY is a professional poker player from Melun, France. 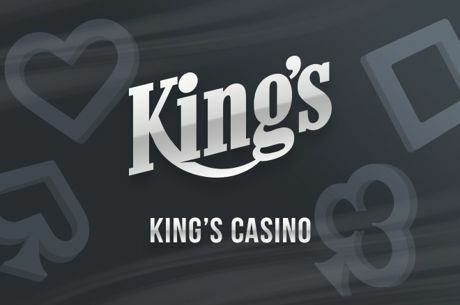 He currently resides in London, England and travels the world playing most the major live poker tournaments. ElkY is one of the few players wearing the so called poker's “Triple Crown” as he has all three major poker trophies in his collection, the World Series of Poker bracelet, and the World Poker Tour and European Poker Tour titles. Grospellier was born in 1981 in Melun, France. Before he started playing poker ElkY was a world-famous StarCraft player. In 2001 he even moved to South Korea to pursuit his passion for StarCraft. Grospellier picked up poker in 2004 and in a few years became one of the best players in the field. Not only does he boast three major poker titles, ElkY also has dozens of cashes in the world's biggest poker tournaments, and more than $10 million in live tournament cashes. Before he started playing poker, Bertrand “ElkY” Grospellier was one of the best StarCraft players in the world. He took part in a number of competitions beating thousands of his opponents and collecting top place finishes. 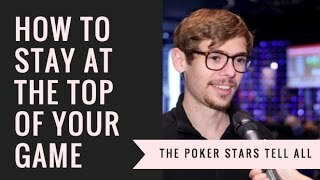 Grospellier says that his gaming experience is one of the main reasons why he's so successful at the poker tables. He started playing poker professionally in 2005. It was the same year when Grospellier cashed in his first live event, the €500 No-Limit Hold'em tournament at The French Open in Deauville. At the same time he started playing poker online. ElkY made poker history by becoming the first player to reach the PokerStars Supernova and Supernova Elite statuses. First he earned 100,000 player points in just two weeks and then collected another 1,000,000 points in four and a half months. Grospellier first appeared in the World Series of Poker in 2006 and cashed in the $2,000 No-Limit Hold'em event for just more than $10,000. He added three more money finishes to his resume in the summer of 2007. One of the cashes was also marked by making the final table in the $2,500 No-Limit Hold'em event. He took home a total of $77,000 in winnings that year. The 2008 and 2009 World Series' marked two and three more money finishes respectively, while two more came in 2010. However, the three summers weren't really successful for the Frenchman. It all changed in 2011 when ElkY added four monster WSOP cashes featuring his first bracelet and two more final tables. During the 2011 World Series Grospellier won the $10,000 Seven Card Stud Championship for more than $330,000, finished 3rd in the $10,000 No-Limit Hold'em / Six Handed Championship for over $440,000, and then final tabled the WSOP Europe €3,000 No-Limit Hold'em Shootout tournament for almost €50,000. He then added another five in the money finishes in 2012 including two WSOPE cashes. ElkY has a total of four World Poker Tour championship cashes to his name including the first place finish, which was also his first WPT cash. He won the Festa Al Lago Classic $15,000 Championship in 2008 collecting his first WPT title along with a $1.4 million cash prize. ElkY then scored two more money finishes in 2009. First he finished 32nd at the L.A. Poker Classic $9,900 Main Event for almost $40,000 and a few months later ElkY came close to his second WPT trophy at the Five Star World Poker Classic $25,000 Championship event. He finished the tournament in third place collecting more than $770,000 in prize money. Two years later ElkY came back to the WPT circuit for another money finish, this time at the WPT Marrakech €3,000 Main Event. He made the final table and eventually placed eight for €20,230 in cash. Grospellier first entered the European Poker Tour stage in 2006 at the EPT Baden and placed 16th in the Main Event. Just a year later, in 2007 he came close to his first EPT win. ElkY finished second in the EPT Copenhagen Main Event stepping down to the winner Magnus Petersson and collecting $400,000 for his accomplishment. Although Grospellier has a total of five first-place EPT finishes, four of them came in side events, while his only Main Event title was obtained in 2008 at the PokerStars Caribbean Adventure $7,800 Main Event. ElkY then took home $2 million in prize money along with the shiny trophy. Aside from his Triple Crown, ElkY has a number of other poker trophies in his collection. In 2009 he won the €10,000 No-Limit Hold'em Team Event at the Belgium Open Poker Championships in Namur for €11,250. Then in October, 2010 Grospellier took down the €1,500 No-Limit Hold'em event at the Barriere Poker Tour in Lille, France for a €40,000 payday. In December of the same year he won the €3,000 Main Event at the Trophees Haussmann in Paris taking home €110,800. 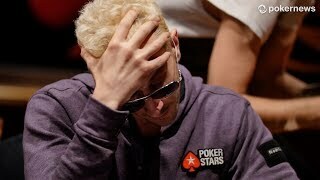 ElkY is a PokerStars-sponsored player and a member of the site's Team Pro. In 2009 ElkY set a Guinness World Record for most Single Table Sit'n'Go's played in one hour. He played 62 $6.50 buy-in Sit'n'Go's and made a $23.60 profit. Grospellier is a member of the “Champions for Peace” club committed to serving peace in the world through sport.